The Soul Nebula glows from within the constellation of Cassiopeia the Queen. I shot this image last night, capturing an object prosaically known as IC 1848, but more popularly called the Soul Nebula. 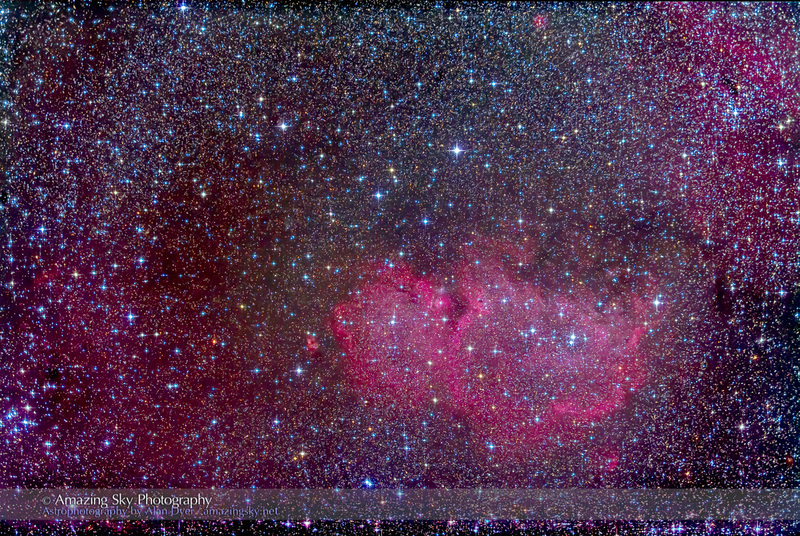 It is often depicted framed with a companion nebula just “off camera” here to the right, called the Heart Nebula. Thus they are the Heart and Soul. Both shine on the eastern side of Cassiopeia the Queen. Here I’m framing just the Soul, taking in some of the faint nebulosity to the left of the main nebula, including a tiny object called IC 289, a star-like planetary nebula at upper left. I like this image for its variety of subtle colours, not only the reds and magentas in the bright nebula, but also in the dark sky around it from dim dust adding faint yellows, browns and even a touch of green. The Soul Nebula lies 6,500 light years away in the Perseus Arm, the next spiral arm out from ours in the Milky Way. 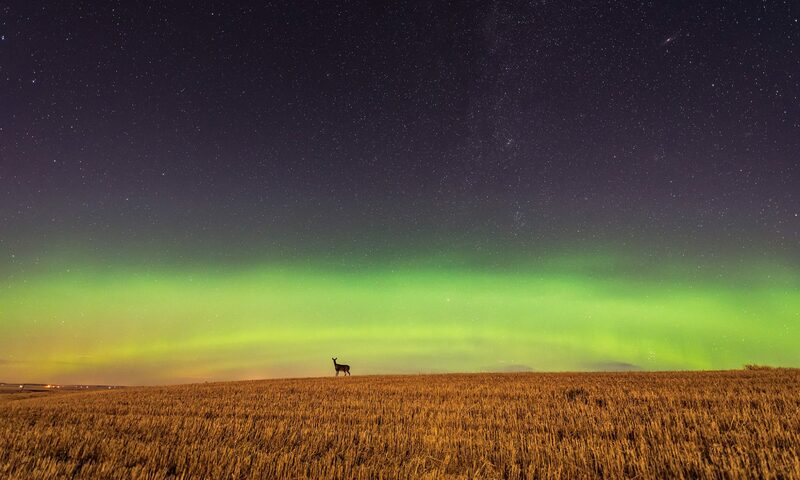 On northern autumn nights this region of the sky and Milky Way lies high overhead. The image is a stack of 20 six-minute exposures, taken with a filter-modified Canon 5D Mark II at ISO 800. I was shooting through one of my favourite telescopes for deep-sky photography, the TMB (Thomas M. Back-designed) 92mm apo refractor, working at a fast f/4.4 using a Borg 0.85x field flattener and focal reducer. I used one of Noel Carboni’s “Astronomy Tools” Photoshop actions to add the “diffraction spikes” on the stars. They are artificial (refractors don’t produce spikes on stars) but they add a photogenic touch to a rich starfield. I shot this from the backyard of my New Mexico winter home.